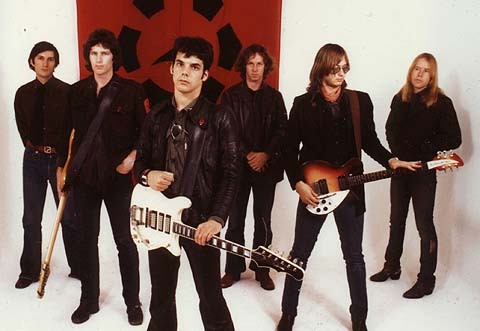 Radio Birdman is responsible for creating a seminal and profoundly influential sound in Australia. How do you feel about that? Did you know or sense that this was happening at the time? Deniz Tek: We knew that we were having an effect on the people who came to our shows. That much was obvious at the time, but we didn’t see the wave coming when we kicked open the door for so many new bands. It was like a new universe being born. They had places to play, which we didn’t have in the early days. Many of them apparently took some musical direction from us as well, and the attitude thing. I see it as something like a chain reaction. You take from your own influences, and if you are lucky you get to add something of your own and pass it on. We passed it on. Some would say that your Detroit influences, and the introduction of sounds like MC5 and Stooges, helped to shape Australian rock n’ roll. Do you agree with that? How important do you think it was to influencing Australian rock n’ roll and putting it on the map? Deniz Tek: I am justifiably proud to have come from the Detroit area, and to have grown up with that music. Not just “high energy Detroit rock n’ roll”, but also Motown, blues, free jazz. All those scenes were powerful when I was a teen. I wasn’t shy about promoting those bands and turning other musicians on to them in Australia, where at the time it was relatively unknown. Rob Younger was already into it when I met him. If I hadn’t been around, the Stooges would still have hugely influenced a certain sub-segment of Australian music, as happened all over the rest of the world. Maybe I served as a catalyst in Australia, to help kick-start the process along. What are some of the coolest Australian bands that you guys played with or toured with in the beginning? Do you still hang around? Deniz Tek: In the beginning, there weren’t any cool bands around. There had been some great ones in the 60’s—the Loved Ones, the Easybeats, the Missing Links, Masters Apprentices, etc, but by the early 70’s it was a dead scene. Mostly when we went out and shared a bill with established groups it was adversarial. We despised them. When the Saints came along in ’77 things seemed to be getting better. We built our own anti-establishment and anti-commercial scene around a venue called the Funhouse. Some of the bands that grew out of that were cool, like the Hellcats, Psychosurgeons, The Survivors, etc. Who was better: Radio Birdman or the Saints? Deniz Tek: That reminds me of the endless debate when I was in school. Beatles or Stones? Both were great. The difference is that the Stones are still great as a live band 50 years down the track, while The Beatles only lasted six years as a live band. It’s hard to see the Saints as credible since Ed Kuepper left in ’79, although any line-up that Chris Bailey forms is still called “the Saints”. Most of the bands are doctors and surgeons, any medical emergencies on tour where Radio Birdman had to come to the rescue? Deniz Tek: Not most. Only Pip Hoyle and I are doctors, but Pip quit clinical medicine and went into administration over 20 years ago. I’m still working as a freelance emergency specialist part time. I try not to bring the ER on tour with me, but occasionally things happen out there where road surgery becomes necessary. You put a dislocated shoulder back in, pull glass out of somebody, that sort of thing. Heatwave: How would you describe your signature guitar sound, and how do you achieve it? Deniz Tek: Organic, I guess. Unprocessed. Primarily I am a rhythm player. Solos are secondary. I don’t lock into standard scales or try to sound like anyone else. I guess I achieve that by just being me, rather than from any conscious effort. What’s your guitar setup? Guitar make, rig, pedals etc. Do you always use the same setup? Deniz Tek: I’m using different stuff all the time. In the 70’s my main guitar was a 1965 Epiphone Crestwood that I got from Fred Smith. I ran that through a 100W solid state Phoenix amp (local Australian made). My only pedals were an MXR DynaComp and a Cry Baby. By 1977 I switched to Marshalls –JMP’s or Mk 2’s. I’ve used Mesa amps over the years. These days I pick up whatever comes to hand, Fender Stratocasters, old Epiphone Coronets, Ampeg Dan Armstrong Lucite guitars. Anything. On the last tour I played a guitar designed by Art Godoy and made by Steve Salvi from Adelaide, a “Tek Signature” guitar, through a Hiwatt amp. The only pedals I typically use live are a clean boost pedal for solos and a tuner. I don’t use pedals in the studio, but simply plug straight into an amp. Around the house, for day-to-day practice, writing songs or just messing around, I play acoustic guitars. Keeps the fingers strong. Almost everyone has a Radio Birdman tattoo. Do you? Deniz Tek: I have one on my back, done by my daughter, Hana. Rumour has it the character ‘Iceman’ from Top Gun is based on you. Is that true? How did it come about? What that are the similarities between you and Iceman? Deniz Tek: That story has been going around for decades. I was flying at the time the movie was being made, and a research team from the film came out and spent a couple of weeks at our squadron in Hawaii. “Iceman” was my call sign. It was on my helmet and on the name patch on my flight suit. From that, it’s been inferred that I was the inspiration, but I think it’s coincidental. The screenplay was probably already written by the time they met me. Anyway, I thought the movie was silly. The Val Kilmer character was a jerk and a by-the-book perfectionist. I can be the former at times, but not the latter. Deniz Tek: Probably playing guitar with the Stooges. That was at the Ron Asheton Memorial concert at the Michigan Theatre in Ann Arbor a few years ago. 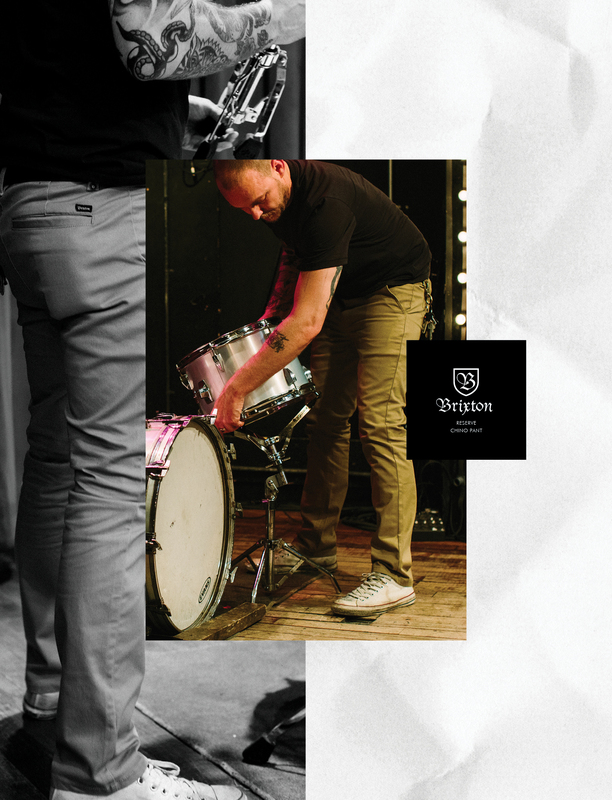 In what ways have you seen these influences build into something you love today? Deniz Tek: Whenever I see a young band playing with passion and energy, and heading off in their own direction, I realise that the force behind the music that turned me on as a kid is still with us today. I don’t love every new band. Most don’t get it. Understandably, the context is different, and music plays a much smaller role in most people’s lives than it did 40 or 50 years ago. Kids these days are into a lot of other stuff besides music. But there’s a few that discover the old magic. They want to know about it, so they follow the roots. Some of them dive deep and bring back some fire. When you see that in an 18 or a 20 year old, that is something to love.